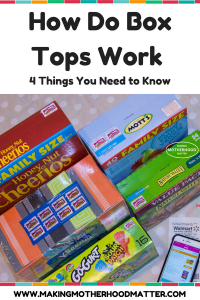 Inside: Find out how earning money for your local school is easier than ever with the Box Tops Bonus App and four things you need to know to answer how do box tops work. This post has been sponsored, but all opinions are my own. If you had opened the junk drawer in my kitchen a few months ago, you would have seen my unkempt stash of box tops that I’d been collecting for our local school. As a former teacher, I’ve experienced how every cent makes an impact on the schools, which is why it’s such a worthy cause. However, now with the new Box Tops Bonus App, it makes it even easier to support schools because you can now scan your receipt instead of clipping the Box Tops. 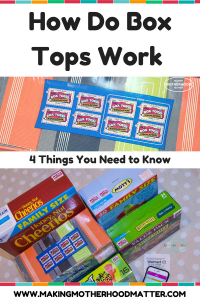 Here, I will show you exactly how Box Tops work, including the four things you need to know. First, I wanted to try out the Box Tops Bonus App, so I downloaded it and created a username and password for the app. Next, I scrolled through the lists on Walmart to see which products have Box Tops. Then, I wrote out my meal plan for the week and added some of the participating products to my list that I needed for the week. 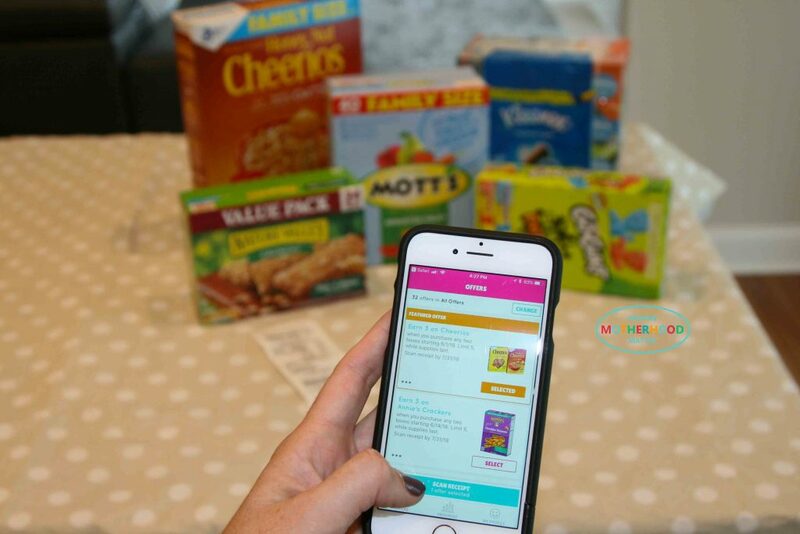 After I did my grocery shopping, I logged into the app and selected the offers for the products I purchased: Honey Nut Cheerios, Nature Valley Oats n Honey, Sour Patch Go-GURT, Mott’s Mega Pack and Kleenex® Facial Tissues Back to School. Then, I clicked the button at the bottom that said “scan receipt.” Each receipt can be used one time, but multiple offers can be claimed. The cool part is that schools can earn up to $20,000 a year and use the money for anything they need. When I was a teacher, this was a huge help because we were regularly in need of more resources than what we had. So for example, if one family collects 100 Box Tops over the course of a year that is the equivalent of $10 for that family. And if 100 families do this, that’s $1000 earned for the school! Schools get paid twice a year in December and April. So cool! In the Box Tops Bonus App, you can click the “Progress” button to see your progress and also the school’s progress. What You Need to Know: How Do Box Tops Work? If you are looking for the nitty-gritty of how do Box Tops work, read more below. There are a few ways to find which products have Box Tops. First, you can check out the product lists on Walmart. Or, you can download the Box Tops Bonus App to and click on “offers”. This will show you current offers and exactly which products you can purchase. Also, you can also check the website that lists all participating products. Finally, you can look at the box while you are shopping to see if there is a Box Top located on the packaging. Log in to the Box Tops Bonus App. Then, click on profile > Log in. It will take you to a new login screen where you can click “NOT A MEMBER YET? SIGN UP NOW.” Then, enter your information. Plus, there is an additional bonus going on stating that if you buy 5 Participating Products > Scan Your Receipt with the Box Tops app > Earn 50 Bonus Box Tops. Each Box Top is worth $.10, which adds up quickly. Other bloggers have also suggested recruiting family members to help join the effort in saving Box Tops too. 4. Need Help Figuring it Out? If your school participates in the Box Tops for Education program and you have any questions, you can contact the Box Top Coordinator for your school. Or, you can check out this frequently asked questions page. Wrapping Up How Do Box Tops Work? Overall, Box Tops are a great way to support your local school. 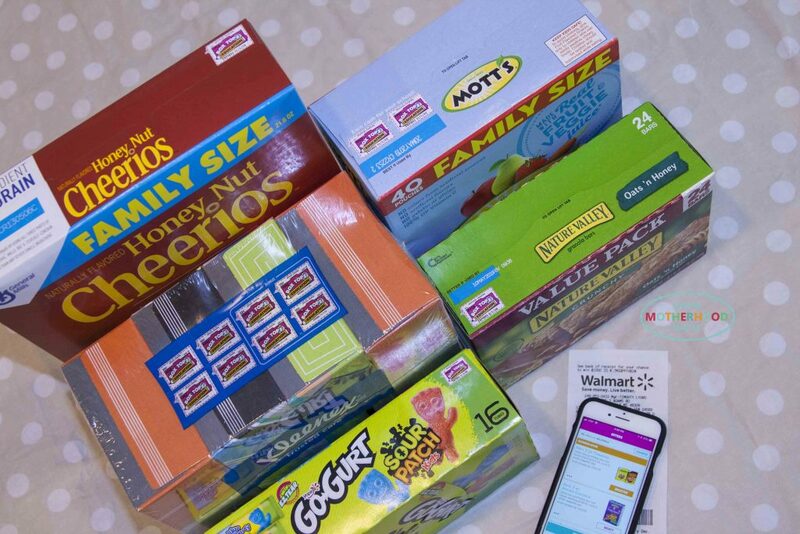 And the Box Tops Bonus App makes it more convenient than ever to earn money for your school. 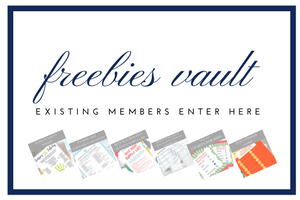 PS – If you enjoyed this piece, you may also like How to Prepare Your Toddler for Preschool Survival Guide. For every 5 Box Tops for Education (BTFE) products you purchase in a single transaction at Walmart on or after 7/10/18 and entered by you by scanning your receipt through the Box Tops Bonus App by 9/10/2018, you can earn 50 Bonus Box Tops, for a your BTFE eligible enrolled school. Only available at Walmart. Multipack BTFE products purchased at Walmart count as 1 participating product for purposes of this offer. To redeem offer, you must download the free Box Tops Bonus App available through the Apple App Store or Google Play store and be or become a member of BTFE.com, supporting an eligible, listed enrolled school and follow offer redemption instructions within the App.